If this really is Jeffrey Katzenberg’s last hurrah at the Cannes Film Festival, he will be remembered as the man who turned the cathedral of cinema into a global market launch for feature animation. With the $3.8 billion sale of DreamWorks Animation to Comcast — Katzenberg had been trying to take the company private, not sell it and leave — the animation czar has six more months to see the last two films through their release. And then he will go on, Barry Diller-style, to his next chapter. 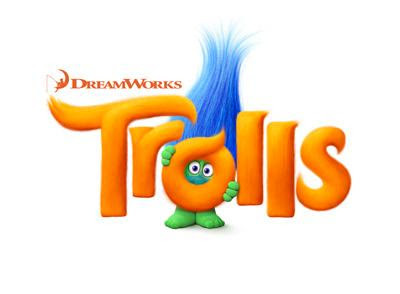 DreamWorks Animation comes to Cannes this year with 25 minutes of footage from “Trolls” (November 4). The screening took place at the Debussy—unusual for a promo event outside the festival, and a sign of respect from festival director Thierry Fremaux. Justin Timberlake and Anna Kendrick, stars of DreamWorks Animation’s first full-fledged musical comedy, performed Cyndi Lauper’s “True Colors,” with Timberlake on acoustic guitar, and then boated up the coast to the Carlton for a civilized press tea by the Mediterranean. Initially hired only as a voice actor, Timberlake produced all music for the movie, which boasts 15 songs (four written by him) from the likes of Gwen Stefani, Icona Pop, Zooey Deschanel, John Cleese, Quvenzhané Wallis, and James Corden; he even mixed the Cannes performance before DreamWorks sent it to the press. Katzenberg is tasked with trying to get a fifth song out of him on this European promo tour. When DreamWorks Animation’s Bill Damaschke acquired the rights to the colorful tall-haired Troll dolls that were so popular back in the ’60s, DreamWorks’ heads Bonnie Arnold and Mireille Soria and filmmakers Mike Mitchell and Walt Dohrn (“Shrek Forever After”) returned to the Scandinavian mythology of trolls for this romantic comedy adventure about the clash between the sweetly optimistic Trolls, who break into constant song, and the dourly pessimistic Bergens, who are happy when they eat trolls for lunch. Katzenberg first came to Cannes in 1976 (he described himself as a “little punk executive at Paramount doing negative pickups”) and returned in 1978 with Terrence Malick’s “Days of Heaven,” walking up the red carpet with the young Richard Gere. Later, he screened “Beauty and the Beast” out of competition (which was nominated for Best Picture), and convinced Gilles Jacob and Fremaux—who was a strong advocate—to put “Shrek” in competition back in 2001. Not coincidentally, Katzenberg thinks, the Academy went on to create the animation category that year in August 2001, and “Shrek” took home the Animation Oscar in 2002. DreamWorks marketed “Shark Tale” at Cannes by floating stars Angelina Jolie and Will Smith in the Mediterranean on a plastic shark, sent “How to Train Your Dragon” characters up the red carpet, and launched Jerry Seinfeld into the air for “Bee Movie.” It’s a Cannes tradition—one that will likely be carried on after Katzenberg makes his exit. Anne Thompson: You recognized early what has become obvious: animation is a driver of an enormous amount of box office every year. Jeffrey Katzenberg: I go back to the Golden Age at Disney. What we saw at the time is that these movies were general audience movies. They were no longer children’s pictures. That’s what happened in that progression from “Beauty” to “Aladdin” to “Lion King,” which was the biggest animated movie of all time for everybody. These were no longer kid’s pictures. It’s a dark movie, so dramatic! There’s a barely even a little humor. It’s beautiful and ambitious. But dark, jeez. What’s the theme of “Trolls”? Happiness resides in everyone. Sometimes you can find it yourself and sometime you need someone else to help you find it. But it’s there in all of us. Will there ever be too many animated movies? Animation has never been more successful than it is today. It’s the most successful genre along with the superhero movies. The answer is there is no such thing as too many and too much. It’s a democracy. People vote you in and out. The strongest brands will prevail.